Dune II: The Building of a Dynasty (retitled Dune II: Battle for Arrakis in Europe and for the Mega Drive/Genesis port) is a Dune computer game released in 1992 by Westwood Studios. It is based upon David Lynch's 1984 movie Dune, an adaptation of Frank Herbert's science fiction novel of the same name. 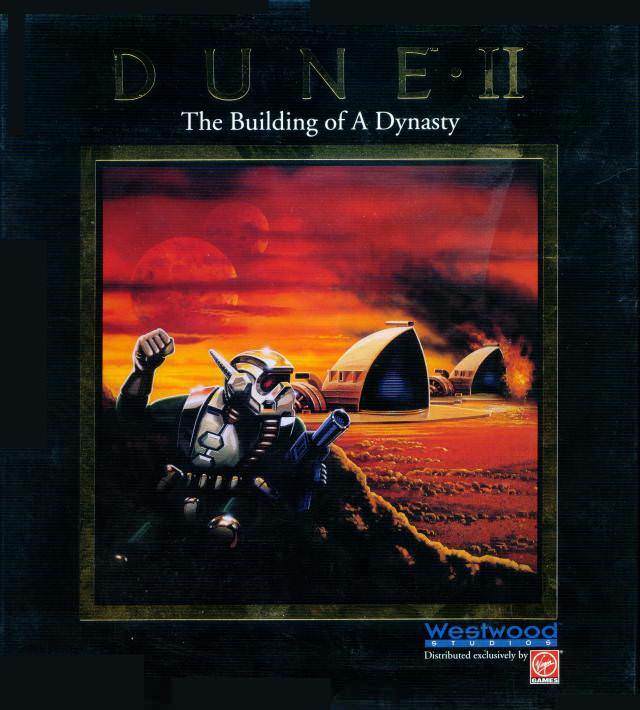 While not the first real-time strategy (RTS) game (The Ancient Art of War, Stonkers, and Herzog Zwei all preceded it), Dune II established a format that would be followed for years to come, and was the first to use the mouse to move units, allowing players to fluidly interact with their troops. As such, Dune II was the first modern real-time strategy game. Striking a balance between complexity and innovation, it was a huge success and laid the foundation for the coming Command & Conquer, the Warcraft series, and many other RTS games. The Dune 2 software seems to be old or discontinued. If you need more information please contact the developers of Dune 2 (Electronic Arts, Inc.), or check out their product website.